Click on the Book Cover to see the paintings. See Schedule page for book signing events. All books will be shipped Priority Mail, with a shipping and handling charge of $15.00 for U.S. customers and $45.00 for Canadian customers. International customers please call (941) 484-6164 for a quote. To securely order via Paypal, select an edition and click the "Add to Cart" button. The book is only $100.00, free (domestic) shipping and handling. Canada and other International customers call (941) 484-6164 to place your order. John will personalize your copy  order soon to reserve the lowest numbers in the edition, or if you have a special number, we will be happy to reserve it for you. All books will be shipped Priority Mail, with a shipping and handling charge of $15.00 for U.S. customers, $45.00 for Canadian customers. International customers please call (941) 484-6164 for a quote. as a trade edition and three different limited editions. We are taking orders now. Click HERE for further details. 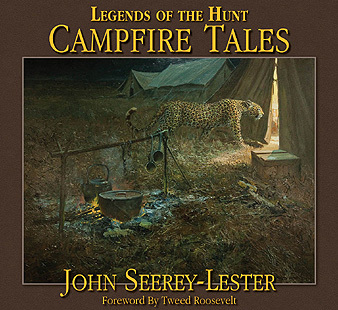 Now John Seerey-Lester has taken another temporary step back in time to the early 1900s to capture the golden age of the White Hunter and the heritage of hunting in North America and Africa. Seerey-Lesters images have a mysterious, mystical appeal, directly related to his ability to paint the unusual. His skill in painting mist and atmospheric night scenes is evidenced in many of the paintings displayed in this book. Published by Sporting Classics Magazine, 1 (800) 849-1004. To securely order via Paypal, select an edition and click the "Add to Cart" button, or call (941) 484-6164, e-mail: legendspress@msn.com, or you can order via Sporting Classics at (800) 849-1004, and www.sportingclassics.net. Now What Do I Do?" The one book every artist should own. The ultimate new art business book is about to hit the shelves. The author, Suzie Seerey-Lester has over 30 years experience working for Fortune 500 companies in sales and marketing, responsible for millions of dollars per month in sales. She has won several distinguished awards for her art, and has sold her paintings throughout the world including Christies and Sothebys Art Auctions in London. 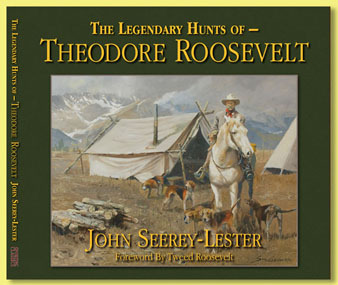 Her husband, John Seerey-Lester, is one of the top wildlife artists in the world today, with paintings hanging in the White House and in permanent, private and museum collections throughout the world. John has been a professional artist for over 35 years and is known as the Godfather of Wildlife Art. Over the years he and Suzie have developed systems that streamline the business side of art. Combining these ideas, and putting them into a simple easy-to-read book, Suzie has gathered the tried and true, well kept secrets that every artist can use. My Painting is Done, Now What Do I Do? is designed to help you set up or improve your art business. Written in an easy to understand way with a touch of humor, the book covers everything from setting up your inventory; keeping track of paintings; photographing your work so it gets attention; to sales techniques. You get advice on such things as how to frame your paintings; setting your prices; shipping art internationally and domestically; and preparing for exhibitions. Be the first on your block to call and order. The book is only $24.95, plus $7.50 (domestic) shipping and handling. Shipping to Canada and other international is $11.50 each. All prepaid books will be autographed by Suzie and shipped immediately. 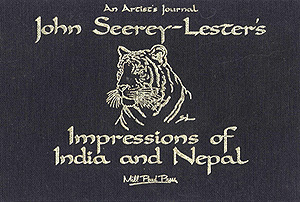 Published by Mill Pond Press, John's journal and field sketches done while traveling through India and Nepal - his hand written thoughts and observations on the land, the people, and the wildlife. 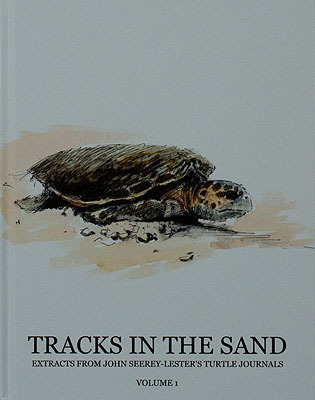 Illustrated with reproductions of the actual watercolor and pencil sketches. Black cloth with gilt lettering on the cover. Click here to view some sample pages. This incredible how-to book features the award winning painting techniques of one of the world's foremost wildlife artists. Whether you are an aspiring artist or a seasoned one or someone who simply appreciates fine art, this handsome volume is sure to be a favorite in your collection!